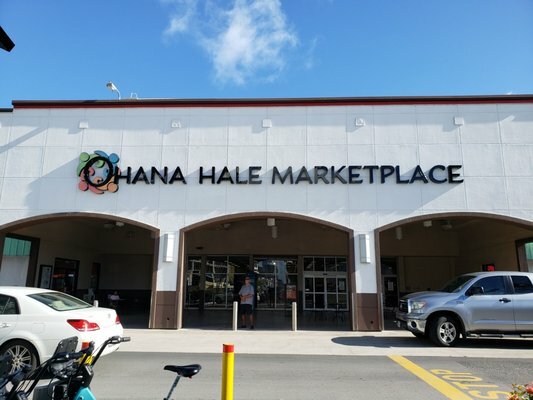 Memorial Quilts - Three Dolphins, Free Spirits - Hawaiian Quilting With Poakalani & Co.
Quilts are made for many reasons. The birth of a child, celebration of an anniversary even birthdays. 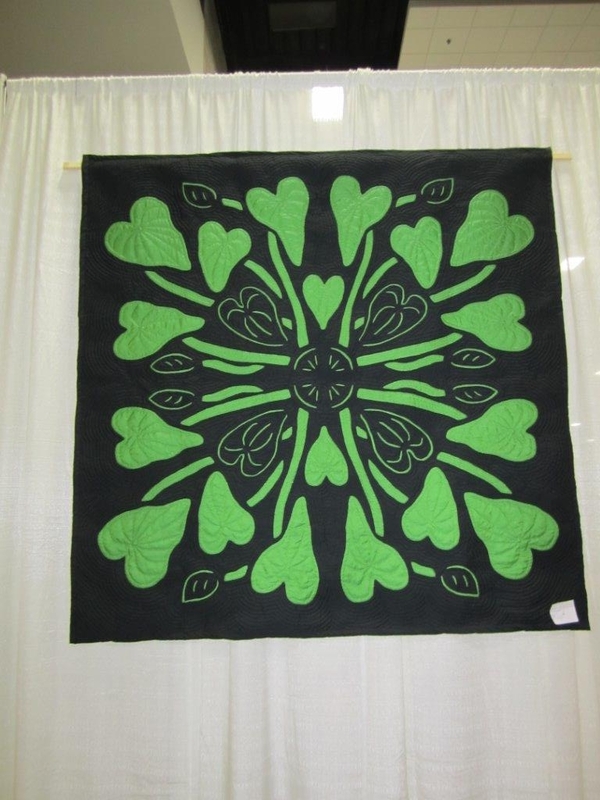 But there are some quilts that are made in remembrance of family, friends and loved ones who are no longer with us. 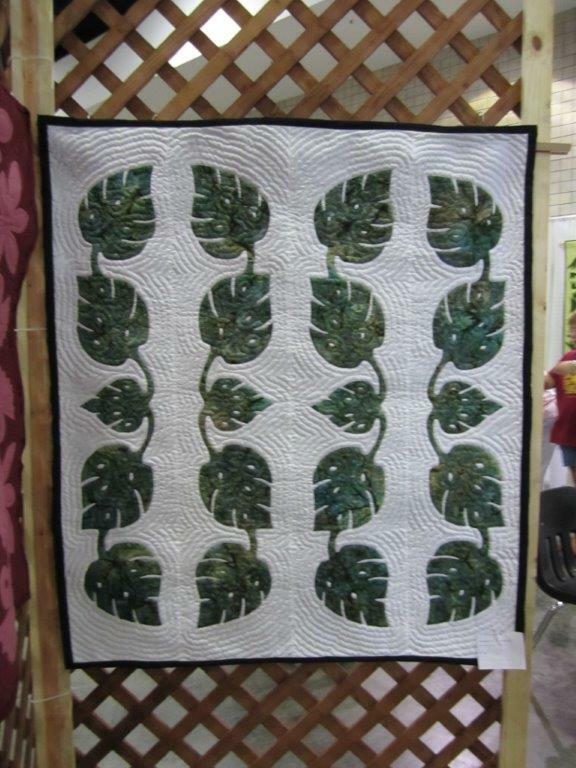 This quilt by Naomi is one of those quilts. 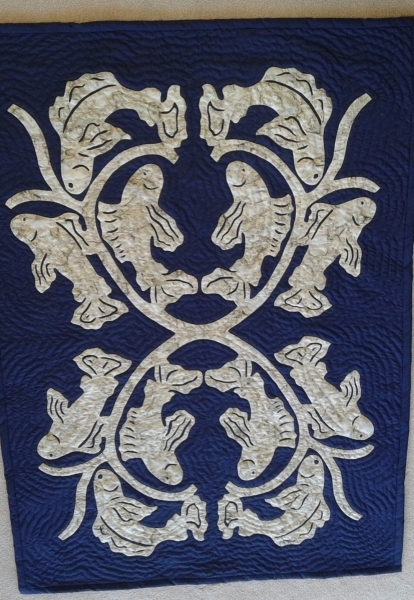 Naomi an active member of our quilting class one day asked my father to design a quilt with only three dolphins. 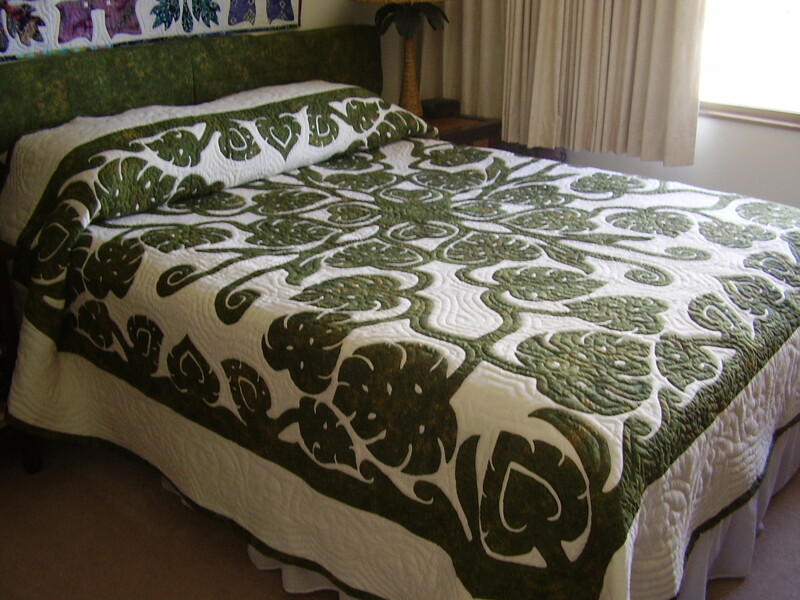 This was a highly unusual request because quilts are designed in halves, fours, eighths etc. An odd number changes the designing method usually used, but Naomi was emphatic that the quilt had to encompass only three dolphins. 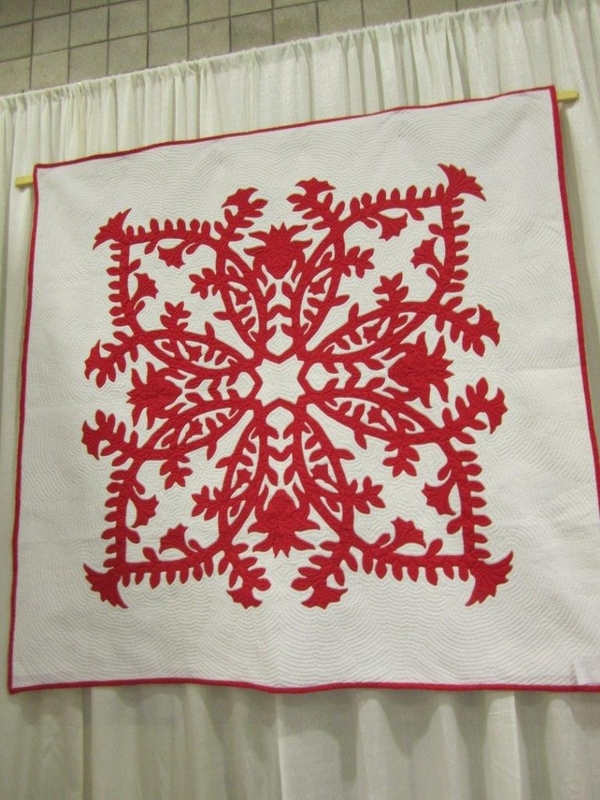 She also had another unusual request that no questions be asked who the quilt was made for. 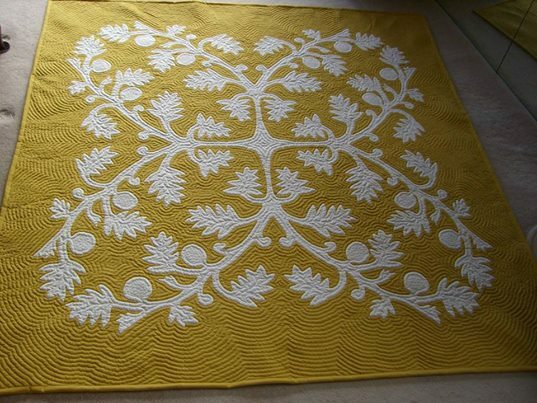 Naomi completed the King size quilt in 6 months . 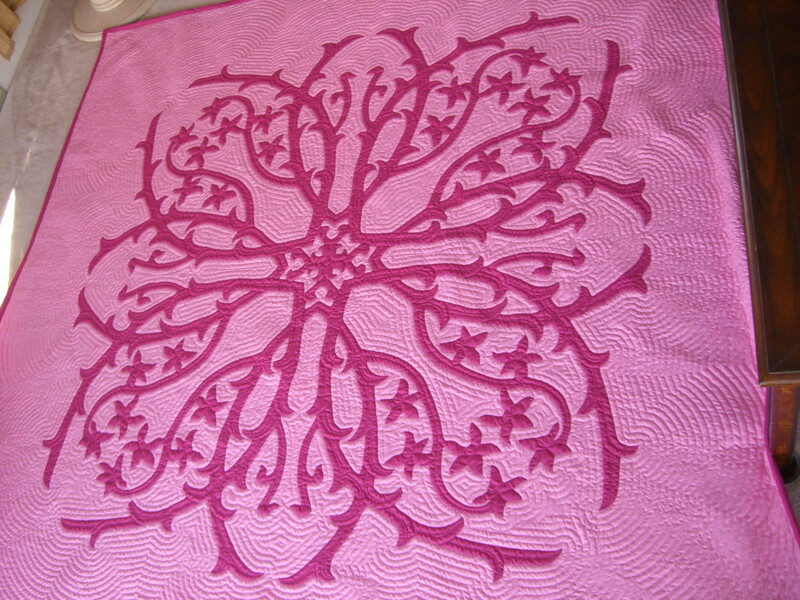 After the quilt was complete she explained the meaning of the quilt. Naomi had a nephew that was very ill in the hospital and was not expected to live much longer. He requested his aunt Naomi to make a quilt for him to be given to his mother(Naomi’s sister). 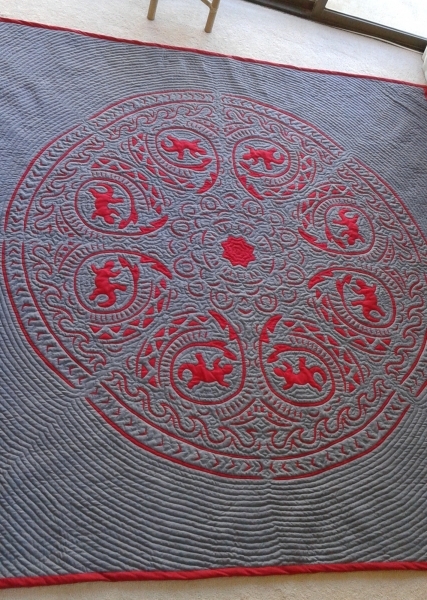 The quilt with three dolphins represented himself and his two brothers. His two brothers passed away a couple of years before from an illness and accident. He was the last and only child left in his family. 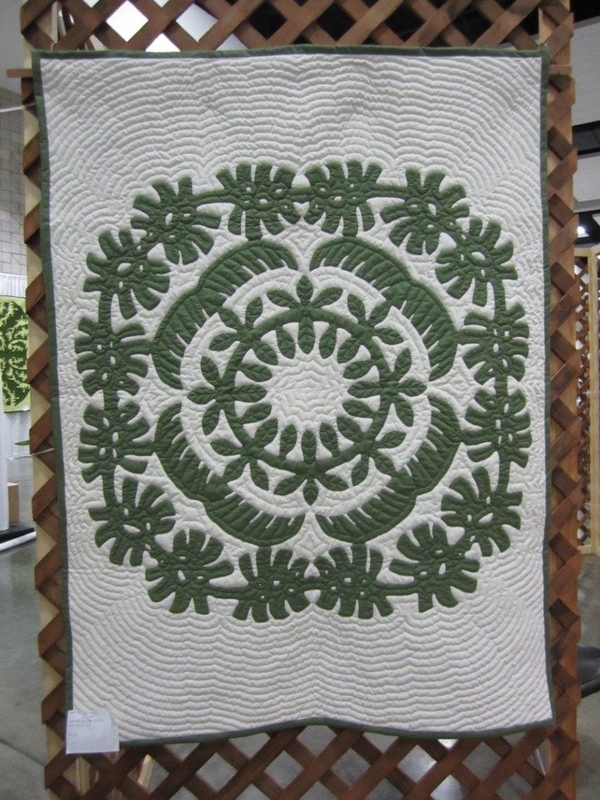 Two hours after Naomi showed the completed quilt to her nephew he passed away. At the memorial service Naomi presented the quilt to her sister from their son. 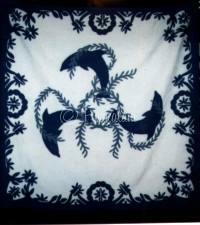 After much illness and tragedy the three brothers are now free and with each other as shown in the representation of the three dolphins on the quilt. 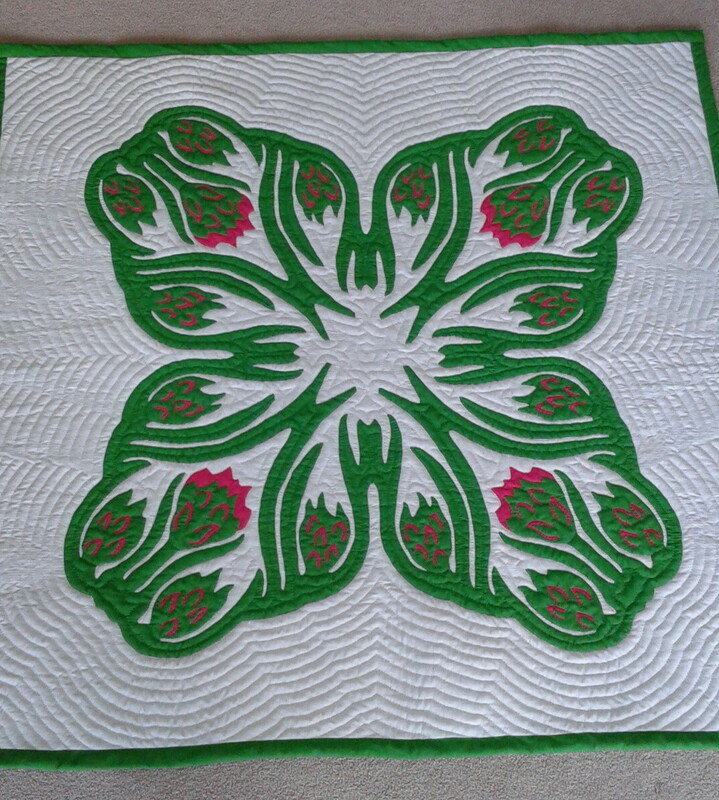 Today the quilt is on the bed in her sisters home and everyday when her sister and husband see ‘s the quilt they remember only the good times. 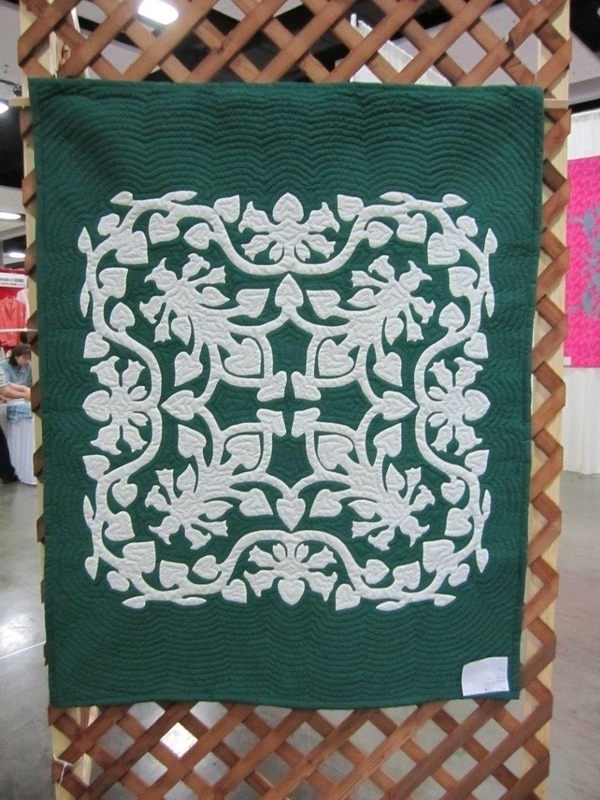 Memorial quilts are a rare treasure.